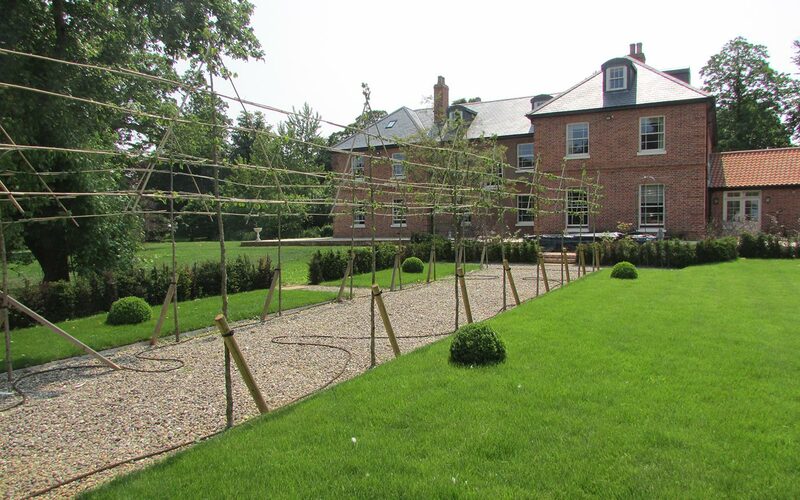 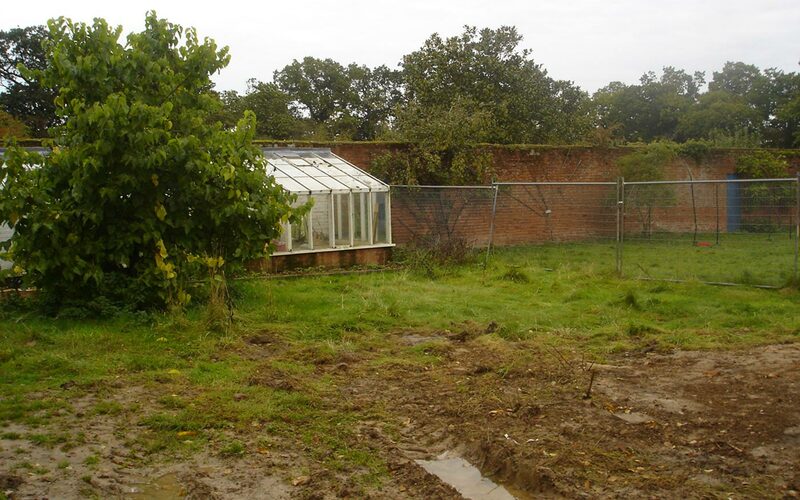 The owner wanted a new garden layout and a structural planting scheme following an extensive renovation programme for this early Victorian rectory. 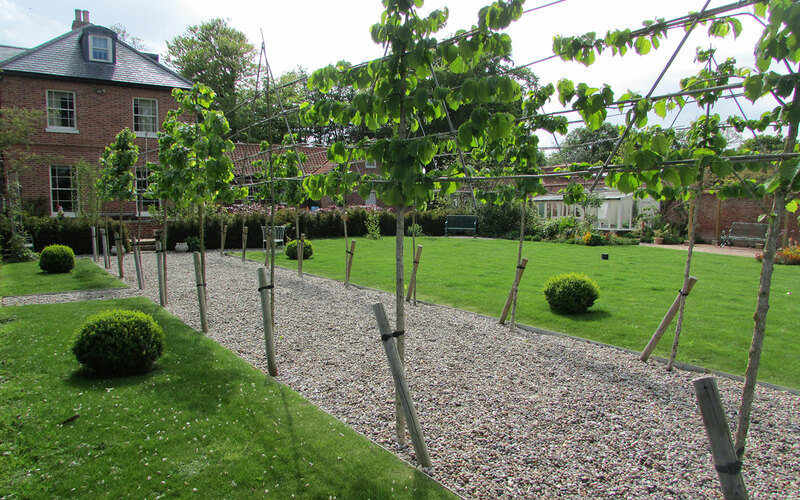 Relandscaping of the garden and grounds was needed to better connect with the house. 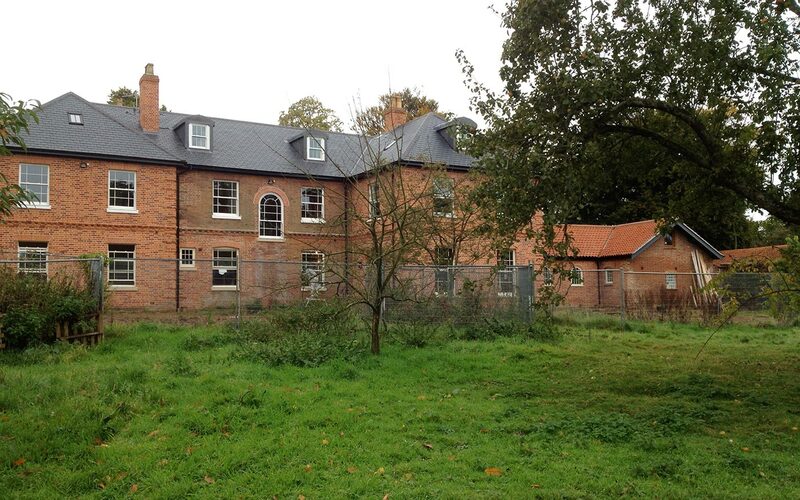 Significant clearance work by the owner opened up views and greatly improved the outlook from the house. 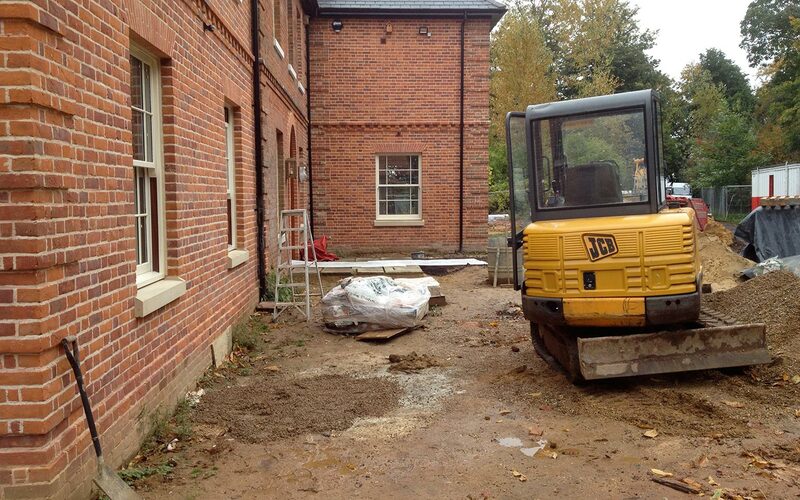 New sandstone terraces and brick walkways were then added around the house. 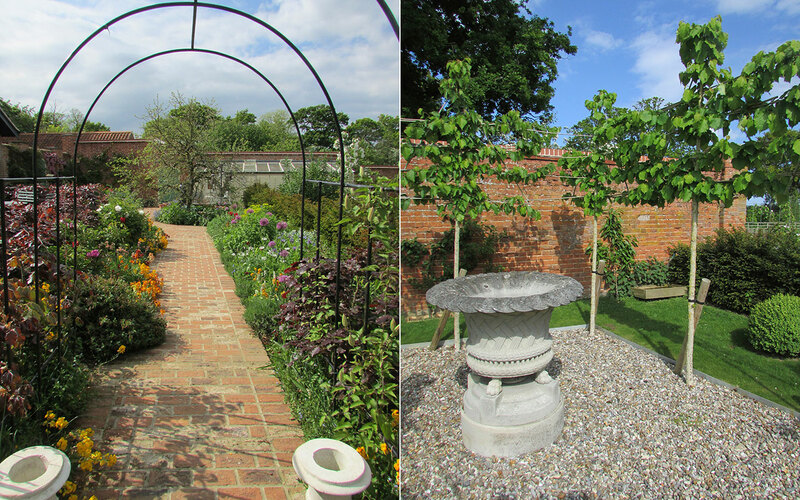 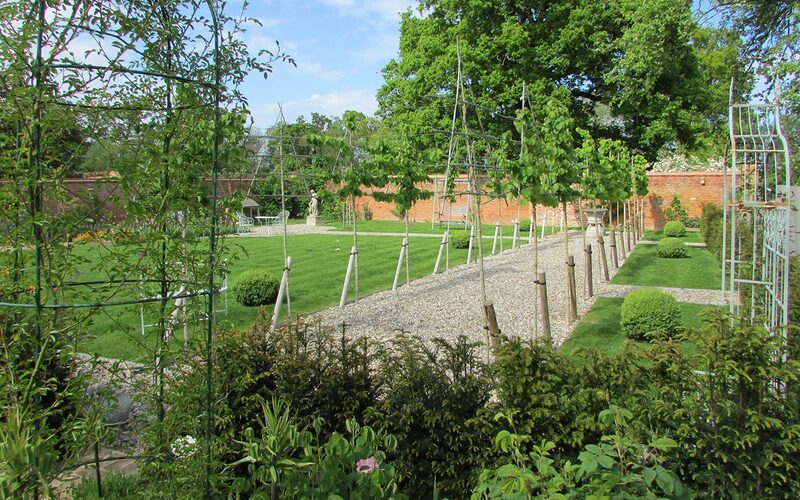 Two original Victorian garden walls were incorporated into a new formal garden together with a formal fishpond, new glass house, herbaceous borders and pleached Turkish hazel tree avenue. 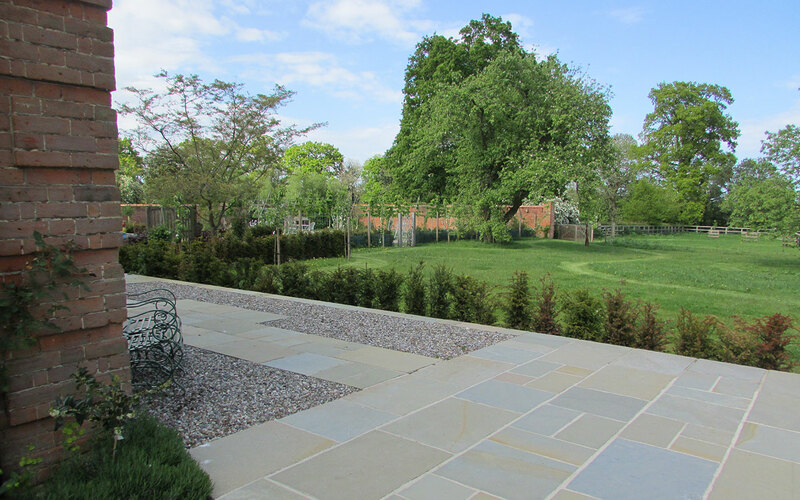 Sweeping lawns and a new S-shaped ha-ha connect through to mature trees and new informal shrub planting to direct the visitor and the eye through and around the site. 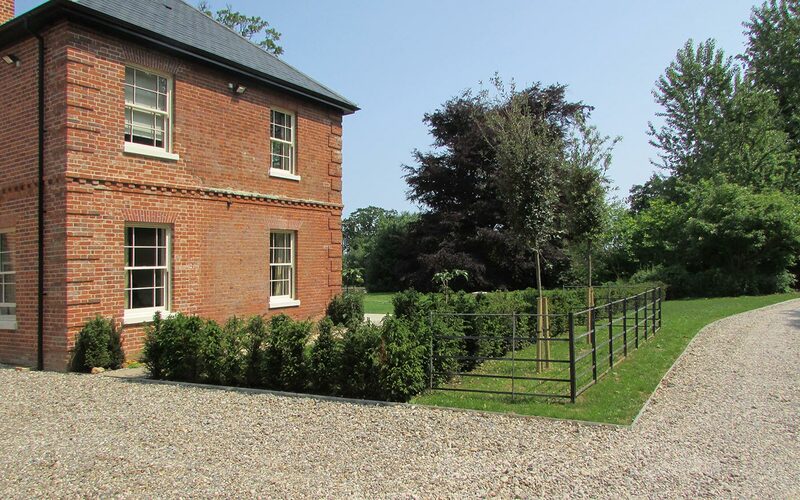 The approach to the house was also improved with the creation of a new forecourt and arrival area.